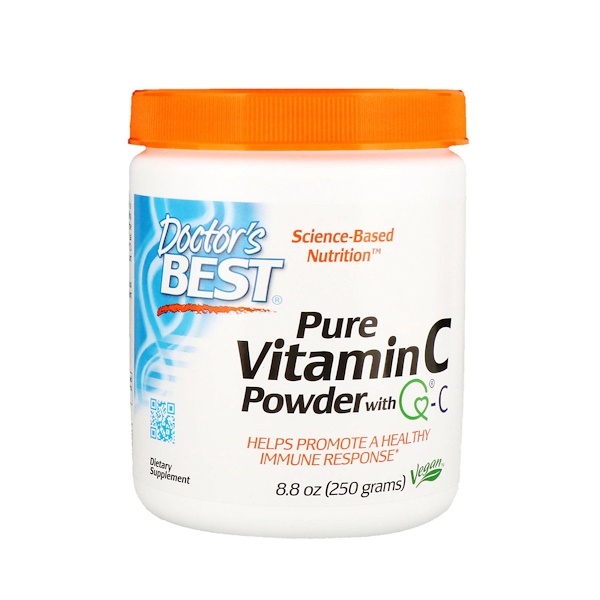 Doctor's Best Pure Vitamin C Powder contains Q-C, which is manufactured in Scotland and prized for its quality and reliability. Vitamin C is indispensable to the body for its role in the synthesis of collagen, carnitine, and certain brain chemical transmitters. 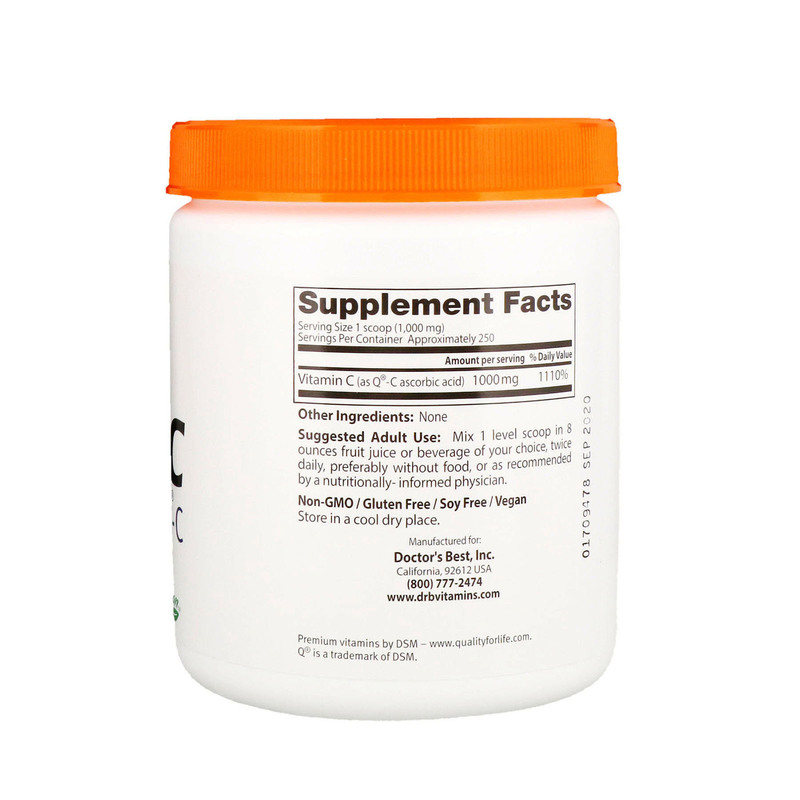 Abundant clinical research confirms Vitamin C's fundamental support for the immune system, brain, eyes, heart and circulation, and all organ systems. Helps promote healthy immune response. Helps the body's antioxidant defenses.